Here’s how one club gave their meetings a boost. 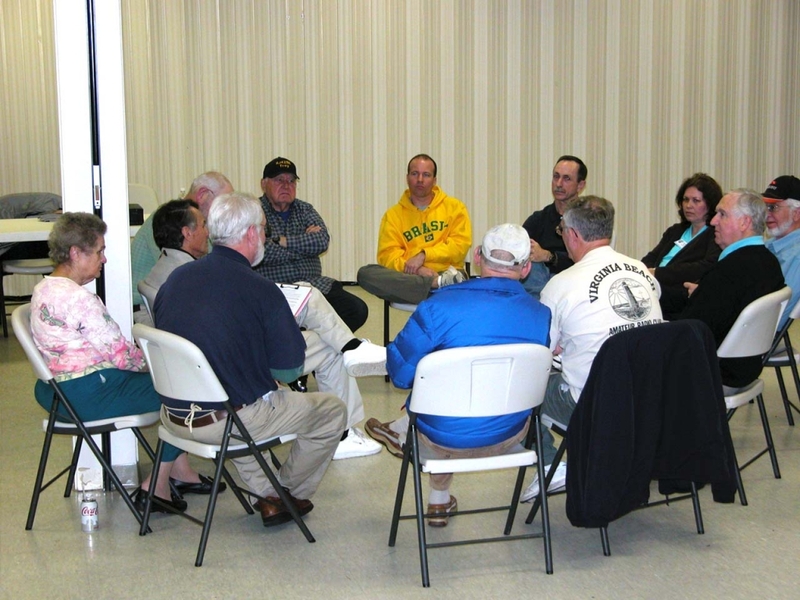 Have your club meetings become outdated and seem to lack vitality? Have your meetings taken on the features of a high school classroom — more lecture, less engagement? As the vice president of the Virginia Beach Amateur Radio Club (VBARC), a club with a 50 year history, I found that new and prospective members were not always feeling welcome or engaged. Our meetings would usually begin with introductions, a presentation, and then business. This format had been followed for as long as I could remember during my 20 years as a ham. After I became VP of the club during the second half of 2011, I heard from many that our club was too cliquish, the presentations were not as interesting as they could be, and new and prospective members didn’t feel a part of our club. As vice president, I wondered what could be done to improve the situation. During the November 2011 meeting, I conducted a survey of our members. The results showed that they wanted better communication, more engagement, a greater sampling of topics, and, of course, more oatmeal raisin cookies! Having been an elementary public school educator for over 3 decades, I noticed that the attitude toward teachers has been changing over the past 20 years. Teachers today are in more of a leadership role and they are given opportunities to study various interests in small groups. Here in Virginia Beach, the school administration has encouraged the use of the Professional Learning Community (PLC) concept. These PLCs allow teachers to collaborate, share, and develop educational ideas and discuss student work. Adapting this concept to our club meetings, I proposed an idea to John Roberts, WB4AXY, the club president. Prior to proposing this idea to the Board, John and I met for several weeks to discuss the details for the new meeting. Our proposal, using the acronym SIGMA (Small Interest Groups Maintaining Amateurs), would begin with introductions and a short business meeting followed by a short break. After the break, the club would disperse into various interest groups facilitated by an Amateur Radio operator possessing special skills in a particular area. These groups would last for about 30 minutes. While the Board expressed initial reservations, we hoped that the results would speak for themselves. The next consideration was recruiting the facilitators. This was not as difficult as it would seem as our club has many enthusiastic and technically competent hams. I approached our satellite guys, Don, WQ1E, and Jeff, KA1DBE, to conduct a Satellite SIGMA. George, W4GDB, and Ron, W8RJL, would facilitate the Technical Skills SIGMA. Hermann, AJ4ZS, would conduct a QRP SIGMA while Bill, WA4EUL; Ed, KN4KL, and Stew, K4STW, would work with new hams. Finally, John, WB4AXY, would conduct a Foxhunting SIGMA. Prior to the meeting, John and I discussed locations in our meeting room where the groups would be held. We did our best to spread out the groups in an equitable way. To begin the changeover, we used the January meeting to explain how the SIGMA meeting would work, allowing everyone a month to mull the new concepts over. At the February 2012 meeting, we put the SIGMA plan into action. Our members had no problem choosing which session they would attend. Some had as many as 15 hams and some only four, yet everyone seemed to be totally engaged in their particular group. In the satellite group, Jeff and Don brought several of their rigs and antennas, and introduced their group to satellite communications. Hermann showed his group an array of low-power equipment of various sizes; he even demonstrated his “tuna can” rig. George and Ron explained the science behind coaxial cables and brought several types with them. John began introducing his group to the equipment and techniques for foxhunting and things rapidly developed into plans to conduct a club hunt. 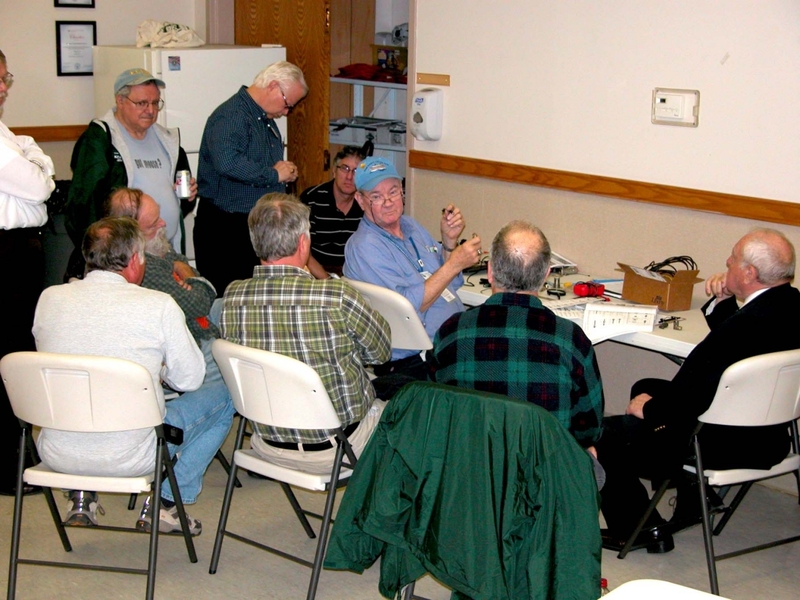 Ed, Bill, and Stew worked with several new hams to teach them the basics of ham radio and get them started on the right foot. One needs a lot of attention after receiving a ticket and we thought this group would encourage the Elmering process. Even though we had to stop after 30 minutes, no one wanted to end the meeting! Members approached to tell me what a good time they had! I even noticed hams conversing with others who they had not spoken with before, which seemed to indicate that the cliques were breaking up. Over the past 2 years, we’ve had at least 11 SIGMA meetings with platforms consisting of DX, Digital, Technical, QRP, and a SIGMA for new hams or people interested in the hobby. Many thanks go to Don, WQ1E, and Hermann, AJ4ZS, who have left the area; Ed, KN4KL; Ron, W8RJL; George, WA4GDB; Bill, W4WV; Jeff, KA1DBE; Bill, WA4EUL; Stew, K4STW; Bill, N4JSP; Steve, WØJTC; Jim, W4PRO; Gary, WB4DNL; Terry, KA8TNF; Tom, WS9B; Mike K4MJ; Luis, K4LCM, and John, WB4AXY. The Board, our president, and I have been pleased with the success of the SIGMAs during these past 2 years. Yes, there are new ways to teach old dogs some new tricks. Just get them in the right “packs” and your club could be revitalized with this relatively simple concept.